Canadian Aid: New and Improved? While this might seem an attractive selling point to many, it is not an entirely accurate statement. Indeed, just such a mandate was already laid out in the 2008 Official Development Assistance Accountability Act, legislation proposed as a Private Member’s Bill and passed with cross-partisan support under the Conservative minority government. In addition to maintaining a separate ministerial position, this Government will, for the first time, enshrine in law the important roles and responsibilities of the Minister for development and humanitarian assistance (p.239). Taking it for granted that Canada’s Minister for International Development and others in the Canadian Government are aware of the ODAA Act, why do they insist on repeating this inaccuracy? What is gained from trying to portray this merger not only as something pursued for reasons of effectiveness or policy coherence? Why is the first “enshrining in law” a selling point for a new and improved organization for Canadian aid? Why the willful blind spot to the ODAA Act? to ensure that all Canadian official development assistance abroad is provided with a central focus on poverty reduction and in a manner that is consistent with Canadian values, Canadian foreign policy, the principles of the Paris Declaration on Aid Effectiveness of March 2, 2005, sustainable development and democracy promotion and that promotes international human rights standards. There is little objectionable about this mandate. It clearly defines Canadian aid as reducing poverty in a way that accounts for the wishes of the poor and embraces human rights, keeping in mind Canadian values, aid effectiveness norms, environmental sustainability, and democracy. Apart from specifying a role for the Minister in humanitarian assistance, opening the door to greater politicization of aid by referring not only to Canadian values but also Canadian priorities, and being less insistent that ODA can only be approved if it contributes to poverty reduction, there is little new here as far as mandate goes. Aid effectiveness, Canadian values (not defined in Bill C-60), and poverty reduction all make an appearance. Everything else is sufficiently vague that the Minister for International Development can approve most anything and call it aid. If anything, the newly “enshrined in law” mandate for Canadian development assistance is less narrow and less focused than the first mandate outlined in the ODAA Act. Considering that the ODA Accountability Act was not repealed and is not even mentioned in the text of the omnibus bill, the newly crafted mandate is largely redundant and equally toothless. Redundancy does not sell. Legislation with little or no consequence does not sell. Neither appeals to a Conservative base who has viewed Canadian foreign aid as a problem in need of a fix for years. It is not desirable as a sitting government to announce “we’re undertaking a massive and expensive organizational reshuffling of the deck chairs to achieve the same sort of mandate as the one which was passed just five years ago.” Instead, the Harper Government is banking on most of the Canadian public and its Conservative constituency being unaware of the ODA Accountability Act and portraying the new legislation as the “first” time a foreign aid mandate has been enshrined in Canadian Law. This new mandate does little to impact the content of Canadian aid. It has little means of ensuring that Canadian aid is delivered more effectively. To be sure, it will not, for instance, mean that Canadian aid is audited more rigorously. Overall, the only benefit of labelling these changes the “first” legislated mandate for development assistance in Canada is to try and make people think that there is something new under the sun when it comes to Canada’s aid mandate. There is not. With the creation of DFATD and the elimination of CIDA, something new is happening administratively, but it is more to do with the organizational packaging and politicization of aid than anything else. 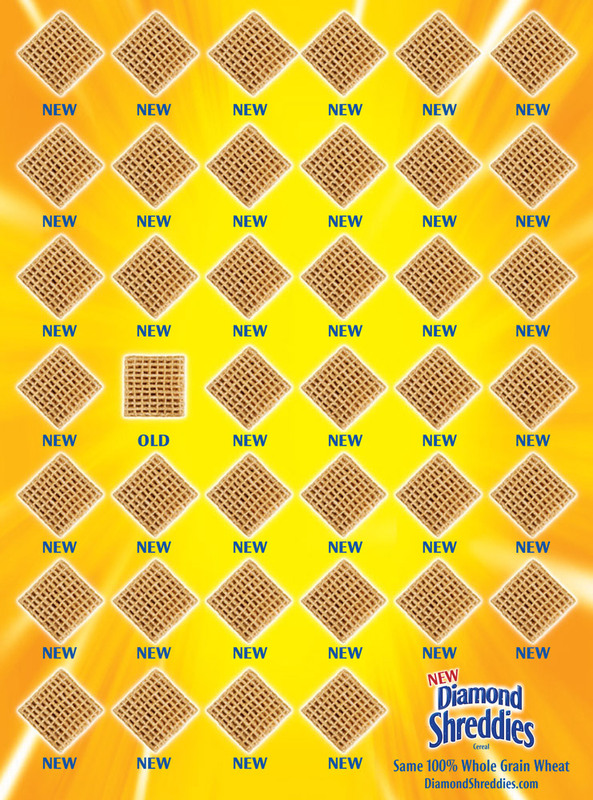 Calling the CIDA-DFAIT merger the first legislated mandate for Canadian development assistance is akin to the Diamond Shreddies advertising campaign – selling the same old square Shreddies by tipping them on their side and insisting they are something new. This government wants Canadians to think it is reigning in the reckless and problematic CIDA with a novel “first” attempt to shape Canadian aid, but in the end, we are left with a redundant and nearly identical mandate in some “new and improved” packaging. Canada’s first legislated mandate is still in place in the form of 2008’s ODAA Act and, as others have suggested, Minister Fantino and DFATD should still report against this original legislated mandate as CIDA had since 2009. This post originally appeared on the Ottawa Citizen Aid & Development Blog on 2013/06/27. This entry was posted in Foreign Aid and tagged CIDA, CIDA merger, DFAIT, DFATD, Foreign Aid, Harper Government. Bookmark the permalink. ← New IDRC Appointments: DFAIT Takeover?